Working closely with the ace Trav team, we've made a website that better serves theatre-loving ticket buyers with easy-to-find show information, a straightforward ticket-purchase path, and the ability to search, discover and buy on mobile devices. "We're so delighted with the new site … The process has felt really collaborative, supportive and smooth – it's been a genuine pleasure." Neat Spektrix integration allows for all kinds of nifty features – including one-click add-to-basket donation, an online script shop, and guest-checkout – keeping user purchase paths short and sweet. 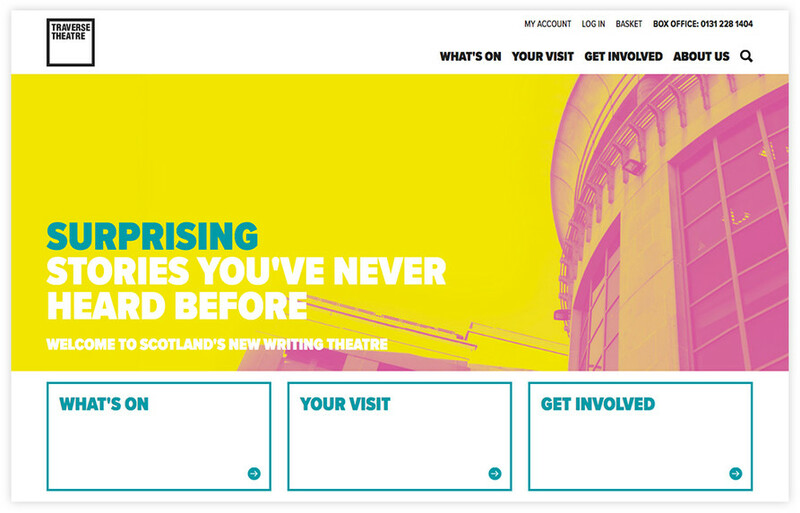 Super-clear site structure and navigation makes it easier than ever for writers, actors, creatives and young people to find information relevant to them; so they can get involved with the theatre that keeps the city’s festival spirit going throughout the year. 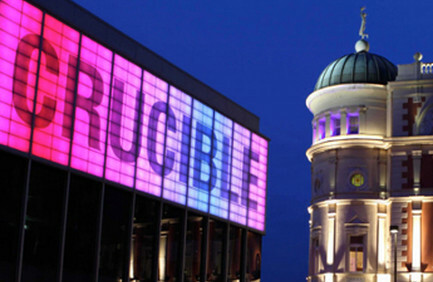 Design-wise, there's clear emphasis on the theatre’s punchy, confident brand identity and tone of voice. 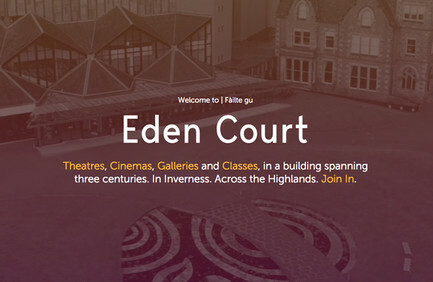 We've allowed plenty of room for playful use of copywriting – after all, the Traverse is Scotland's new writing theatre.